the IRS2GO mobile app. Where’s My Refund? is updated once every 24 hours, usually overnight. Refunds are generally issued within 21 days after we receive your tax return, but you can also check our 2019 IRS Refund Cycle Chart for exact payout dates. You should only call if it has been longer. Need help checking your State Refund? Check the Where’s My State Refund page. Do you have a strange IRS Reference Code like 1121? 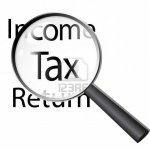 Check out our listing of IRS reference codes. Get your refund status at Where’s My Refund?, here.